Choose Mallorca for your next trip. Find your ideal accommodation in Palma de Mallorca or Playa de Palma with AMIC HOTELS. Book now and pay at the accommodation ! FREE cancellation in most of the rooms. Book now with best price guarantee and exclusive benefits and offers, direct payment at the hotel. We listen and help your choice is the best and you come for business or pleasure, alone or with your partner or trip with friends We have your hotel or urban beach for you. From now Welcome to AMIC HOTELS, where you will find the house as your friend! Good ubuicaciones to enjoy all the cultural, recreational and sporting life of the city. 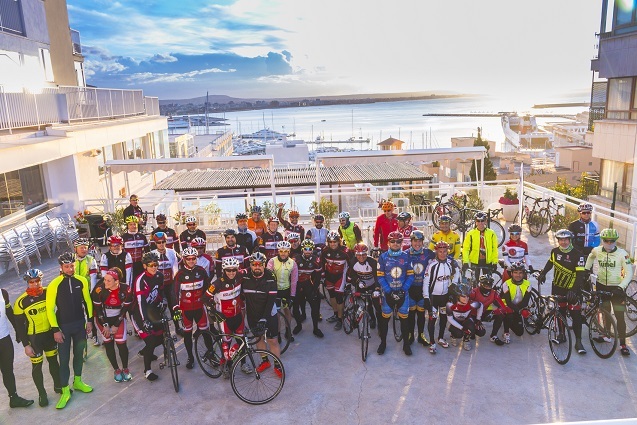 Palma de Mallorca is one of the favorite places to stay for groups because they can enjoy the sport and also the urban life of Palma. Our Mallorca-Cycling station is open all year round and offers a variety of services for lovers of cycling: Shop and workshop, parking and lockers, room exclusively for team meetings or to organize routes, gym, swimming pool, phisyo, Mediterranean food. Discover Majorca, arts and culture, enjoy an unforgettable visit to the city. Includes accommodation in double room, superior double and suites (with view), breakfast, romantic dinner. VAT included. Includes one night stay with a New Year's Eve party and dancing. Santa Claus, Christmas and gifts!!! Celebrate your Christmas Eve party with your family and friends at the Hotel Horizonte in Palma de Mallorca. The night of December 24th is special and we guarantee you that you will have a great time !! Santa Claus party, dance and guaranteed laughs. At City Hotels Hispania you will enjoy Hotels and Aparthotels situated at strategic locations in different cities and at spots endowed with the charm of great natural beauty. Hotels in Barcelona and on the Costa Daurada very near Port Aventura, Majorca Hotels, Hotels in Playa de Palma, Aparthotel in Granollers, close to the F1 circuit, spectacular hotel in Puerto de Mataró. Establishments with all the services which will ensure your satisfaction on your trip be it for business, leisure, meetings, gastronomy or wellness.